so i guess it's my turn to talk about this cute book coming out soon! ReSew is for the gal who likes to go to the second hand store find a treasure with a bigger picture in mind of modifying their find into something fun and just perfect. in this book you will find: how to make handbags, scarves, a plush toy, and a ton of outfits! 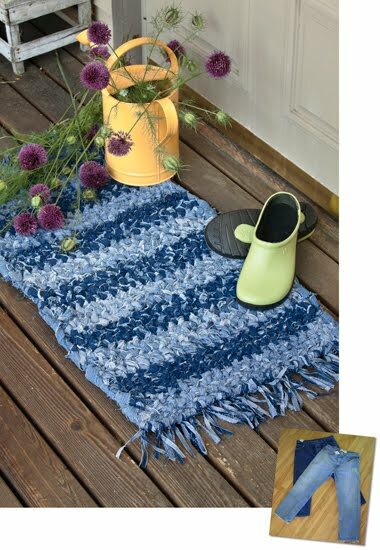 there are two particular projects in this book that i'm itching to try, (and most likely will this summer in between being at the pool) first is this awesome rug made out of jeans...i'm thinking i may even try some different colored jeans for this project! and guess what i can probably attempt making it at the pool!!! and then this quilt just looks and i can already tell...feels sooo comfy and warm. perfect for the afternoon chill while swinging on the porch swing, or to take to the beach. stay tuned to see what i make and how it turns out. i think that quilt is calling my name first though. so what do you think? the quilt or the rug first? Hey I've been following your blog for a while and love it! I also love your pictures and was wondering what kind of camera you use? I love reading your blog and find the info great and love your pictures too. I am wondering if you could give me some advise as I have been having some ideas about a book for some time, do I write a rough copy first and then show it to a some publisher or try and do it myself? Even though summer is just around the corner, I say the quilt...though if you did the rug first, it would help with all those summertime ins and outs of the house. Tough decision! Awesome book idea, I'll have to pick one up. 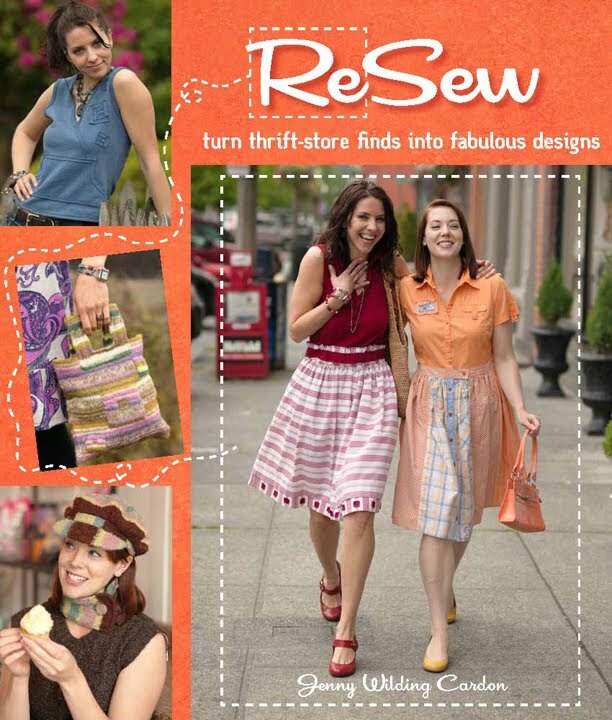 I'm a huge fan of Recycle, Refashion, Renew! PS - I'd say start with the quilt! Hi Vanessa! I have been limiting my blog reading to my top favs lately and yours is one of them! I vote that you start with the rug. It looks fun! the rug...you won't need to wait for pool-weather to start! The rug. I think it would be a great portable project. Quilt first and rug at the pool;) Thanks for sharing. Hi Vanessa, I'm here from the Wild Cards...I vote for starting the rug first. I love, love that project (hope I can win the book) and I love to carry portable projects with me. I think that one will be super. they are both so cute!! I would likely start with the rug, can't wait to see how they turn out. I made your zig zag blanket only mine is pink with a matching minkey pillow...Thanks for the tutorial...I enjoyed trying something new. I think you should definitely do the quilt. Wonderful work you done. 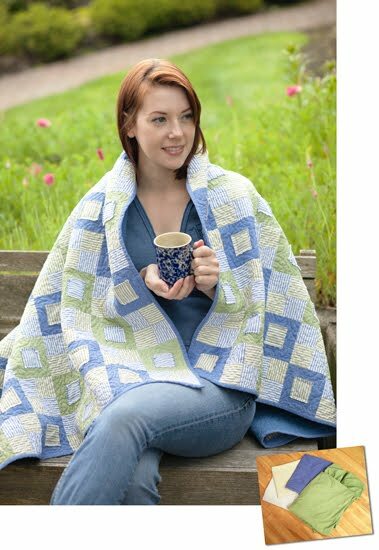 The zig zag blanket looks awesome and it looks very beautiful and very fantastic. It looks very rich.